Tristan Shone is a mechanical engineer, sculptor (MFA, UCSD, 2007), sound artist (Author & Punisher) and creator of the Drone and Dub Machines industrial sound controllers. Alongside fabricating machines and composing sound for performance, he works at the National Center for Microscopy and Imaging Research at UCSD as a mechanical engineer. Author & Punisher is an industrial doom and drone metal one man band utilizing custom fabricated machines/controllers and speakers. These machines draw heavily on aspects of industrial automation, robotics and mechanical devices that he encounters through engineering work and sound machine fabrication. 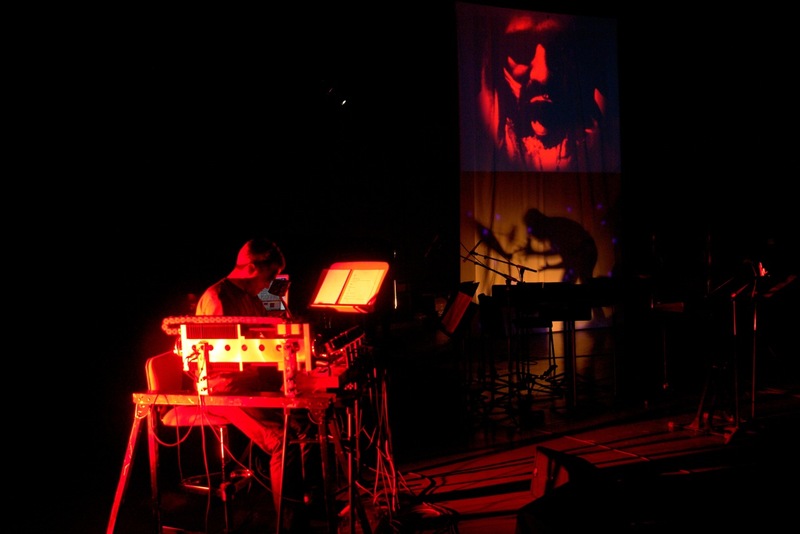 The devices focus on the eroticism of the interaction with machine, as well as the musical sensibility of doom, dub, and heavy drone influenced music. He has performed and shown these machines in festivals and exhibitions in the United States and abroad (FILE, Sao Paulo, BR and ALTA VOZ, Venice, IT). He received his BS in mechanical engineering from Rensselaer Polytechnic Institute in 2000 and went on to work for several years as an engineer at Corning, PerkinElmer and MChips in the semiconductor industry, while also playing in doom metal bands in and around Boston, MA. He then went to get his MFA in Visual Arts from the University of California, San Diego in 2007 with the Drone Machines as his thesis project. Clint McCallum was born at the feet of the Rocky Mountains at Saint Jacobs Hospital in Denver Colorado 1980. He thought himself a novelist until, at the age of thirteen, he taught himself how to play the guitar so that he could be in punk bands. Soon he was playing in jazz bands. Then he went to music conservatory at Oberlin (in Ohio) where he studied composition with Randy Coleman and Lewis Nielson. After graduating from Oberlin, Clint played in the bands STEXX (a black metal influenced industrial band that used computer processing and large formal schemes to pummel peoples skeletal structures) and Cockdeath (a computer-grind band that combined short song structures into longer concept pieces to drill peoples eardrums). During this time Clint collaborated with the Ohio Ballet and choreographer Ashley Bowman on a violin, tape, and dance piece that was a nostalgic-adolescent fantasy. The bands eventually disbanded in silent-glorious-flashes. Clint went to pursue another degree or two at the University of California San Diego. That’s where he is right now, collaborating with technologist Kevin Larke, tubist John Piper, saxophonist Eliot Gatttegno. His current work seeks to investigate the limits of the human body through exhausting performance techniques, high volume levels, and invented technology. It incorporates influences from the western musical avant garde, 1970’s American performance art, underground noise music, horror films, and J.S. Bach, among others.